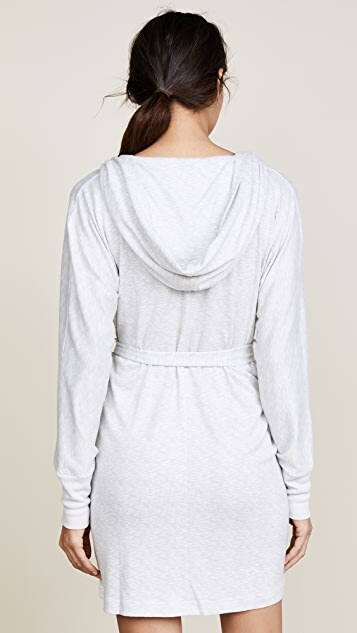 A luxuriously soft Emerson Road robe with a slouchy hood and on-seam pockets. Ribbed banding cinches the cuffs. Open placket with an optional self-belt tie.